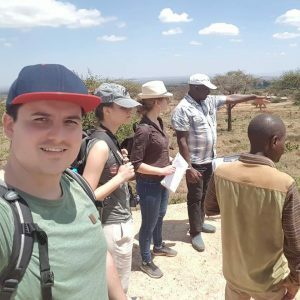 Our team has been back to Kenya! 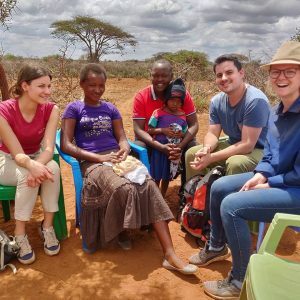 Verena Donislreiter, Jonathan Scherr and Johanna Salfer visited our partner organisation YISOG in February/March 2019, met the children sponsored by us and organised the construction of our Rescue Centre. 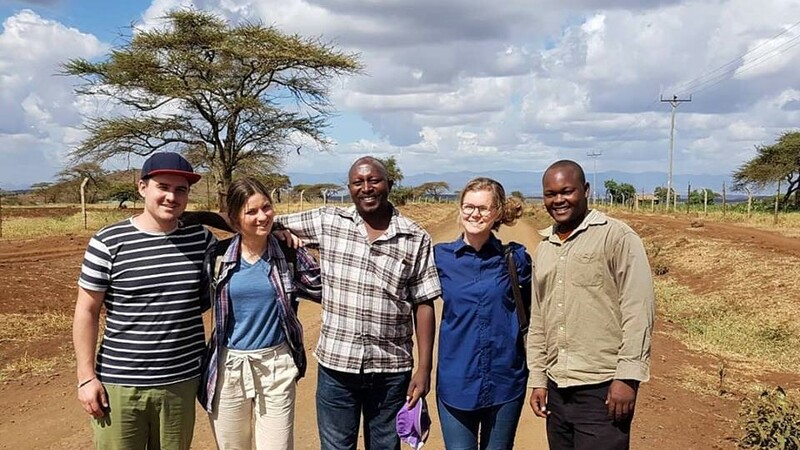 Ambatana back in Kenya with our partners from YISOG: Jonathan Scherr (Compliance & Accounting), Johanna Salfer (Sponsorships), Father Tito (Head of YISOG), Verena Donislreiter (Chairperson of Ambatana), Kimu (Accounting & Sponsorships at YISOG). 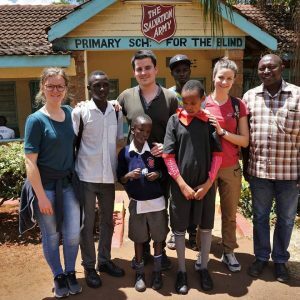 At the beginning of their trip, our team met three of the children sponsored at Thika School for the Blind, a boarding school especially for children with little or no vision. 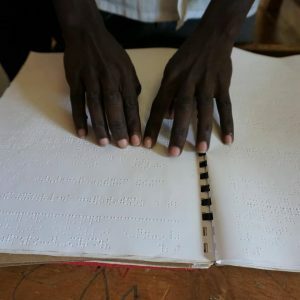 Here they first of all learn to read and write Braille in a preparatory class. Verena Donislreiter says: “We are happy to see how well the three children are developing at the School for the Blind and how they are gaining self-confidence. They proudly read to us from their textbook in Braille. We were very impressed!” We wish the children all the best for their continued education. 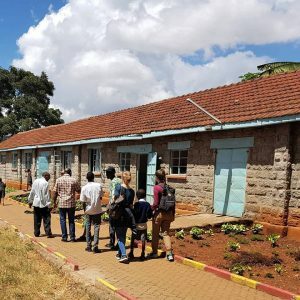 As at any Kenyan primary school, children stay here for 8 years before moving on to secondary school for another 4 years. Secondary school is crucial for any further steps towards training or studying. 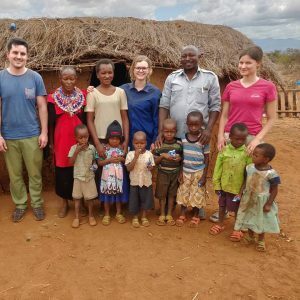 Our team also had the opportunity to meet the children in our sponsorship programme who live with their families in the Maasai land or with Father Tito. More than 20 orphans currently live with him in his private home. During their visit, the team was able to see the children’s progress in their education first hand. 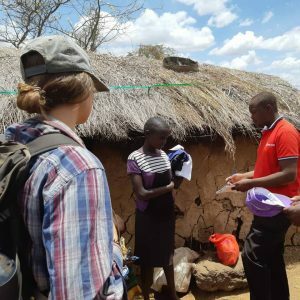 As part of our sponsorship programme we support children at risk to secure their education. Another focus of our visit to Kenya was the ongoing construction of the Rescue Centre. The centre will become a new home for orphans and children facing forced marriage and female genital mutilation. 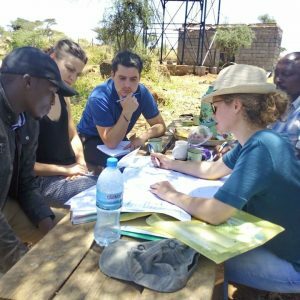 Together with our partners from YISOG, Verena, Jonathan and Johanna visited the site for construction inspections and meetings. 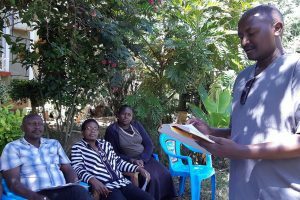 There were several delays due to a change in the construction manager, the rainy season and the construction company raising prices despite contractually fixed prices. 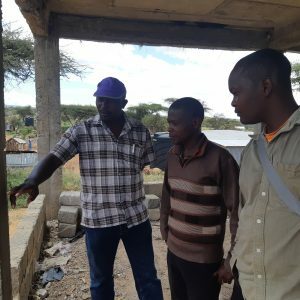 After renegotiating with the Nairobi construction company and an independent quality control carried out by a local surveyor, construction can now continue. 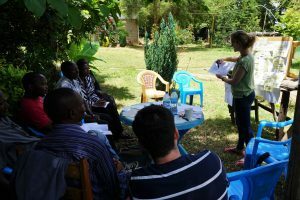 After the German organisation team had carried out a strategy workshop on setting a course in the beginning of 2019, Verena, Jonathan and Johanna also held a strategy meeting with our partners at YISOG. 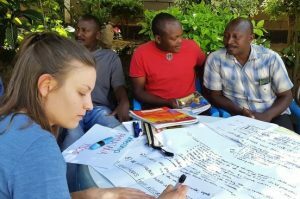 The goal was to match Ambatana’s strategy with YISOG’s and to set a common course for a cooperative partnership. 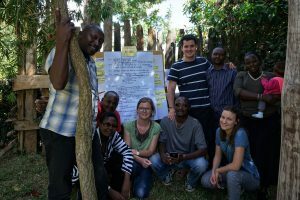 For this purpose, a partner strategy workshop was held as part of the visit to Kenya: The workshop participants aligned the visions of Ambatana and YISOG and carried out a SWOT analysis to define the strengths, weaknesses, opportunities and threats and derive fields of action from these. This resulted in many new ideas and a focussed strategy that will set a course for the next few years of our cooperation. An extremely successful and productive visit for our cooperation with YISOG.Not only could our team hold important meetings but also inspect and continue organising the construction of the Rescue Centre as well as visit the sponsored children.We are very happy to see that looking back on five years of our organisation’s existence, our work continues to move forward step by step!